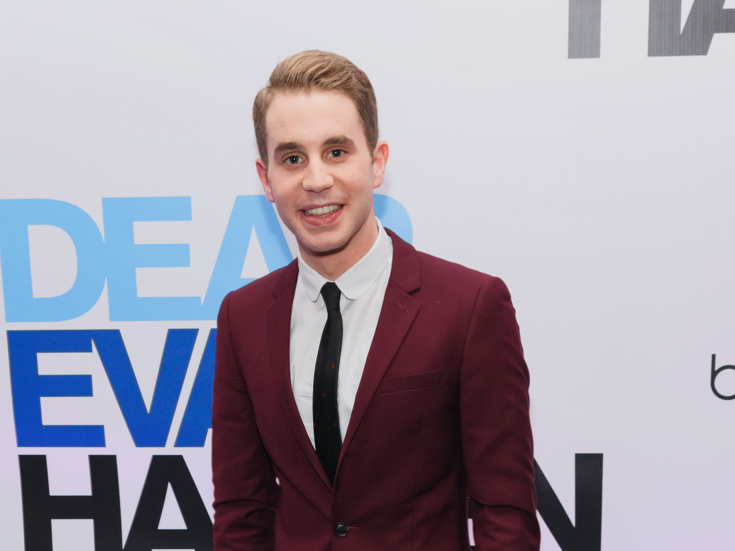 Dear Evan Hansen's recent Tony-winning star and newly anointed Grammy nominee Ben Platt paid a visit to The Ellen Degeneres Show on November 28. Among the young star's many topics of conversation was the now legendary backstage appearance of Beyoncé upon her visit to Dear Evan Hansen. Platt told Degeneres about seeing Beyoncé in the audience of the hit show, describing her hair as a "wavy sea of glory." Watch Platt below and gear up to hear him sing out on his upcoming debut album. Dogfight and Wicked buds Lindsay Mendez and Derek Klena are set to perform in New York Christmas, the 9th annual holiday benefit for Artists Striving to End Poverty (ASTEP). Named for Ghostlight Records' celebrated album, the concert will feature Broadway talent singing pop, rock, soul and R&B takes on new and classic holiday songs. The benefit will take place on December 11 at 7:00pm at Joe's Pub. Joining upcoming Carousel star Mendez and current Anastasia leading man Klena will be Elizabeth Stanley, Nick Blaemire, Chester Gregory, David Josefsberg, Bonnie Milligan, Cheeyang Ng, Lauren Pritchard, Shea Renee and Kay Trinidad. The ASTEP benefit will be directed by Jenn Rapp-Pearl. A talented lineup of stars will take part in Broadway Beats Hunger, a charity event set for December 4 at 7:00pm at Paper Mill Playhouse in Millburn, NJ. Broadway stars will sing showtunes in the event benefiting Food, Health and Hope: An Answer to Diabetes, an initiative that includes free diabetes screenings; fresh, healthy and diabetes-friendly food at no cost; and access to nutrition programs. The stars set to participate include Laura Bell Bundy, Bryan Terrell Clark, Nikki M. James, Adam Kaplan, Greg Hildreth, Eden Espinosa, Norbert Leo Butz, Joey Taranto, Ellen Marie Marsh, Paul Canaan and Jackie Cruz. Falsettos alum Anthony Rosenthal and Anastasia star Derek Klena will lead a December 7 private industry reading of the new musical Last Days of Summer, based on the novel by Steve Kluger. The reading is being directed and developed by Jeff Calhoun with a score by Jason Howland and a book and lyrics by Kluger. Last Days of Summer is the story of 13-year-old Joey Margolis (Rosenthal), the neighborhood punching bag, growing up fatherless in Brooklyn in the early 1940s. Looking for a hero, Joey latches onto Charlie Banks (Klena), the all-star third basemen for the New York Giants. In addition to Rosenthal and Klena, the cast of the reading will include Jackie Burns, Drew Gehling, Abby Mueller, Melissa Van Der Schyff, Daniel Jenkins, Mel Johnson, Jr., Jim Kaplan, Julia Antonelli, Kevin Carolan, Christopher Paul Richards, Yasmeen Sulieman, Anthony Norman and Aidan Wharton.